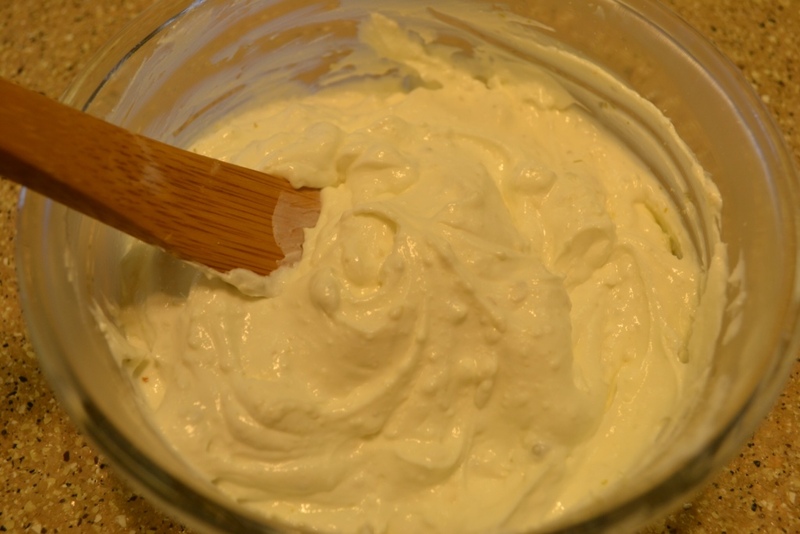 Over at Julie's: Easy Greek Crock Pot Yogurt Cheese (Quark)!!! Last week I was making up a batch of my Easy Greek Crock Pot Yogurt and thought . . . why not only make 6 yogurt cups with fruit in the bottom, and turn the rest into Yogurt Cheese? I love creamy, flavorful dips with a cream cheese base, but once you've made your own YOGURT CHEESE from whole milk . . . Baby, there's no turning back to the expensive, foil wrapped, in the dairy case, version! YOGURT CHEESE ROCKS!!! 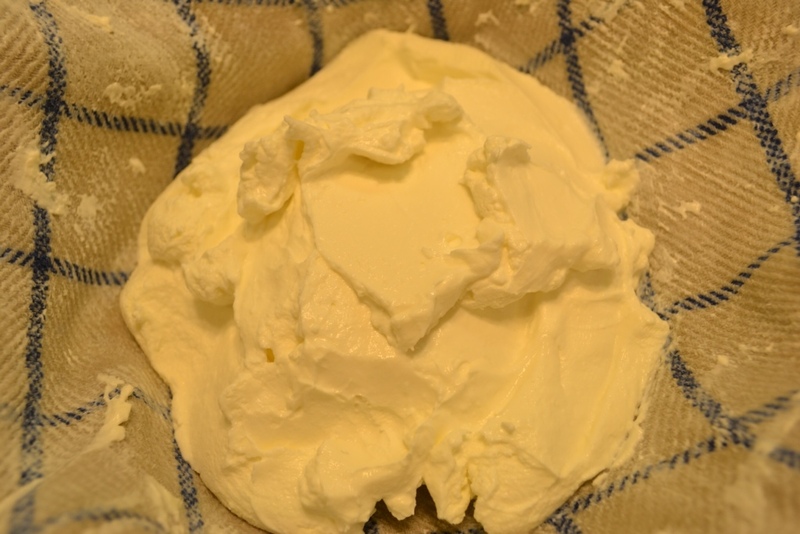 The cool thing about making your own "cream cheese" is it's exceptional creaminess (from whole organic milk) and spreadability, because you control how thick you want to make it! This type of cheese is called Quark in other countries. Whatever you you want to call it . . . It's ABSOLUTELY DELICIOUS! In another post I roasted scallions, recipe here, in the oven with a sprinkling of extra virgin olive oil and a little kosher salt. I then dehydrated them, ran them through my blender/food processor and have a jar in my freezer with exceptional sweet scallion flavor! So, for my first dip, I had a little over 8 ounces of Yogurt Cheese to work with, perfect for making chip and pita dip or cracker spread. 1 recipe for Easy Greek Crock Pot Yogurt, recipe here. To make Yogurt Cheese, place (you decide the amount) Greek Yogurt in the refrigerator, while still in the tea towel-lined colander, over a bowl covered in plastic wrap. Woo hoo . . . You have just made your very own Yogurt Cheese! Now, what to do with it? You can go sweet, by adding a bit of honey and spreading it on your morning toast . . . of which I can attest, is very yummy! Or, you can go savory . . . another tasty option with limitless possibilities! In the morning, place about,1 cup/8 ounces of Yogurt Cheese in a small bowl, saving whey for baking or fermentation and thinning down your Yogurt Cheese Dip/Spread. Add 1/4 teaspoon salt, 2 teaspoons Worcestershire, and 2-3 dashes of Tabasco brand pepper sauce; mix well with a spoon. 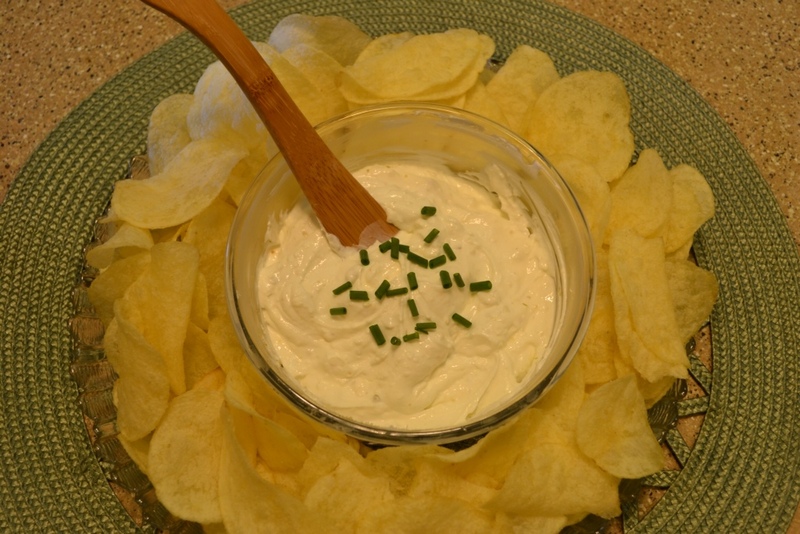 At this point, depending on whether you are making a dip for chips or a spread for crackers, you may thin down the Yogurt Cheese by adding whey 1 teaspoon at a time; mixing well and checking to see if the consistency is right for dip or spread. Now here's the fun, creative part! Sweet Roasted Scallion/ Dip ~ Add 2 tablespoons of Dehydrated Roasted Scallions; mix well and add snips of green scallion for garnish. Refrigerate for 2 hours to allow dried scallions to rehydrate. Everything mixed in . . . Just needs a little garnish! Roasted Garlic Dip ~ Place 3 fresh cloves of garlic, in their skins, in aluminum foil; drizzle with olive oil. Bake at 350F. for 12-15 minutes. When you can smell the garlic roasting, it's done. Remove skins, smash with a fork and mix in well. 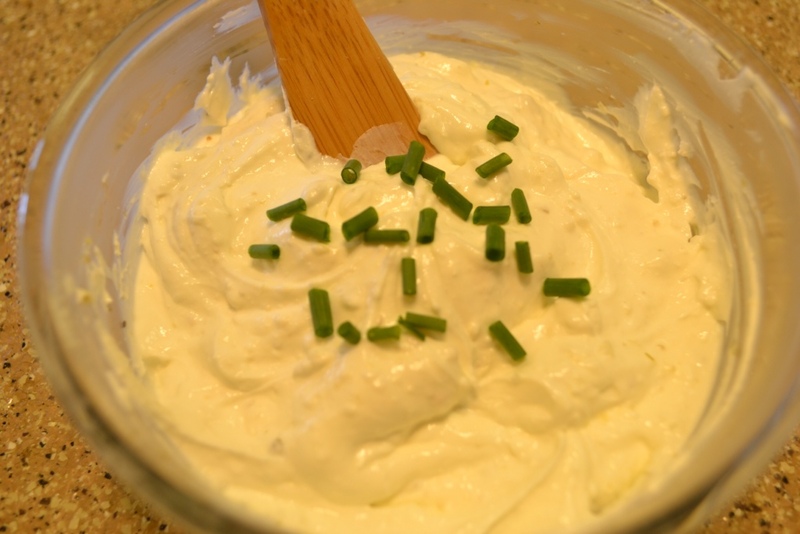 You could also make Momma's Olive Dip with Yogurt Cheese, instead of cream cheese. A garnish on top lets folks know what kind of dip they are eating. Chips with healthy, flavorful homemade Yogurt Cheese and homegrown Roasted Scallions. 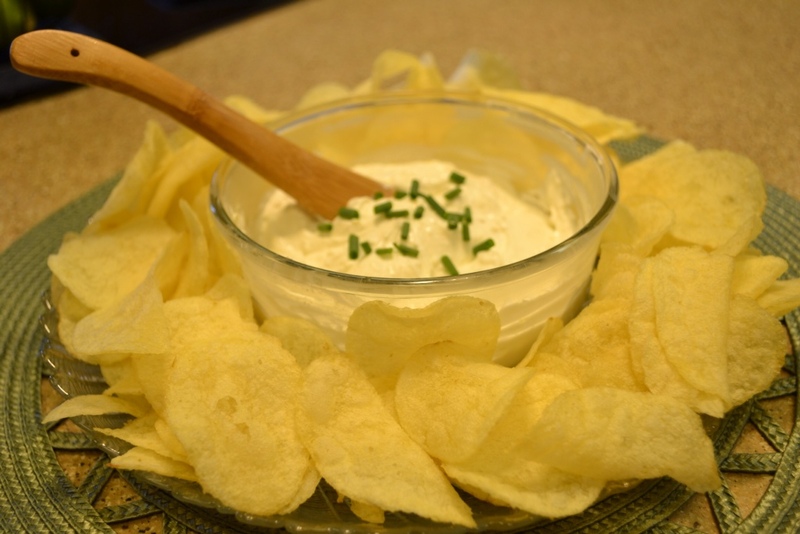 We love our chips and homemade dips . . . Over at Julie's!! !